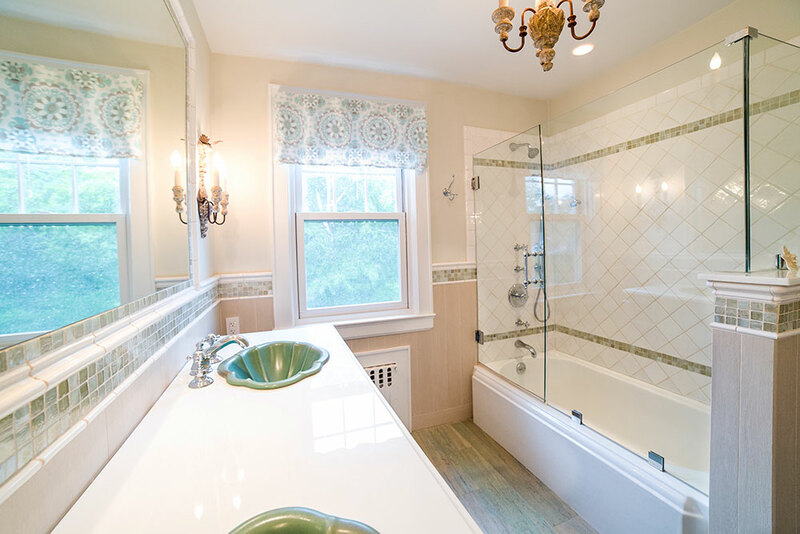 This full gut bathroom renovation’s goal was to make a transitional family bath that was updated with character and visually belonged in this 1921 house. Starting with the double vanity with hand glazed ceramic drop in sinks that subtlety mimic the lines of a shell. The hand done quality of the glass tile border trim compliments the porcelain “wood” tiles used on the walls that create the effect of wainscot. The weathered look of the colorful porcelain pickled “wood”floor adds the right touch of character with a modern ease.